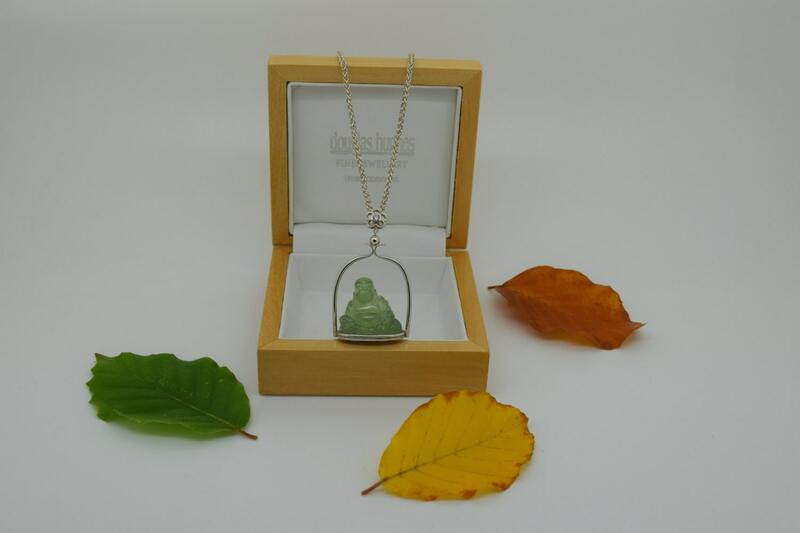 A carved Prehnite Happy Buddha sitting in his own Silver Temple. The pendant bale is a flower set with a 10pt. Round Brilliant Diamond. 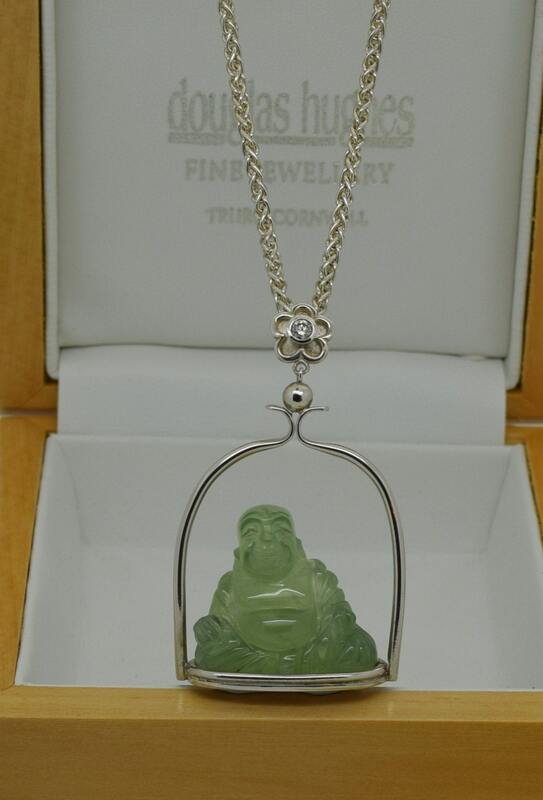 Hung on an 18" Silver Spiga Chain - other chains are available in varying lengths.